The Polar H10 Bluetooth & ANT+ Heart Rate Sensor is an integrated chest strap and heart rate monitor designed to measure the user's heart rate. The H10 sends data wirelessly via either a Bluetooth or ANT+ data transmission to a compatible smartphone with supported heart rate service applications, or to compatible Polar devices using a coded transmission. The H10 also works with select gym equipment. The H10's built-in memory allows it to record a single training session for syncing later, so even if you don't have your phone or Polar device on you, you can still track your heart rate. The Polar H10 is fully waterproof and will function in the pool, and software updates are provided through Polar's Flow and Beat mobile apps. Hook up Polar H10 with Polar Beat, Polar's free fitness and training app, and get accurate real-time heart rate directly to your phone. Not a fan of working out with your phone? With Polar H10 you can track your training session without your phone and transfer your heart rate data to Polar Beat after you finish. Just start a training session in the app, leave your phone waiting, and get going. Polar H10 works with leading fitness apps, compatible gym equipment, and many other Bluetooth and ANT+ devices. Connect your heart rate to your favorite app or gym machine and optimize your training to reach your goals. 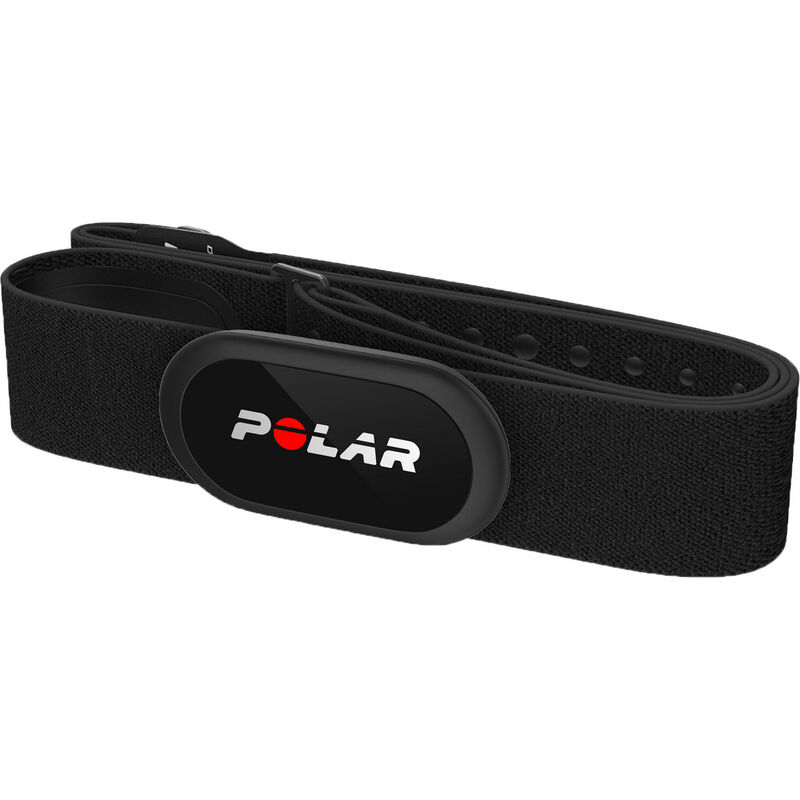 Polar H10 is waterproof up to 98.4' and transfers heart rate data in water with 5 kHz transmission. Polar H10 comes with the Polar Pro strap, a soft textile strap with improved electrodes to make sure your heart rate is measured accurately and without interference. The material is comfortable to wear, and the silicone dots and the improved buckle keep the strap firmly in place.